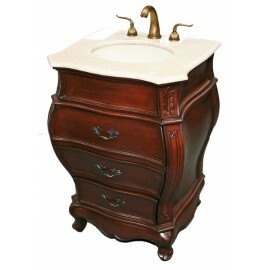 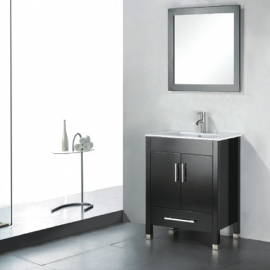 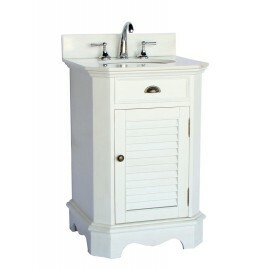 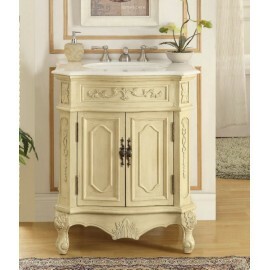 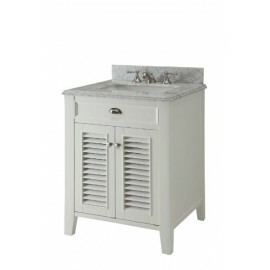 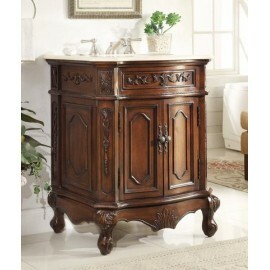 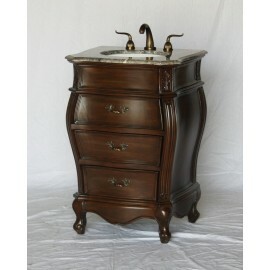 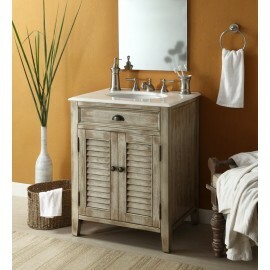 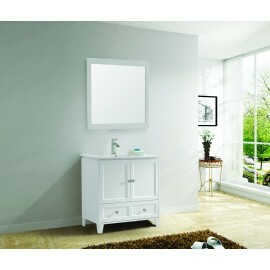 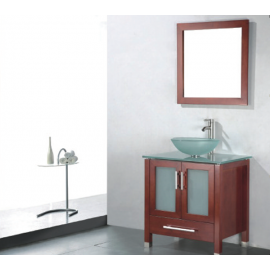 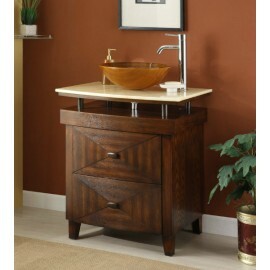 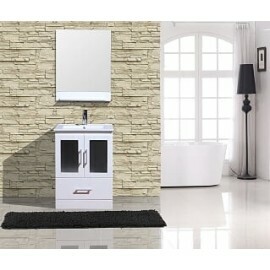 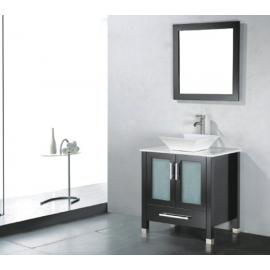 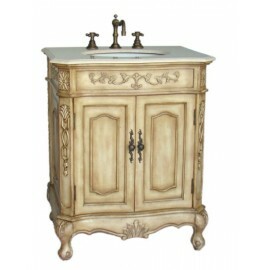 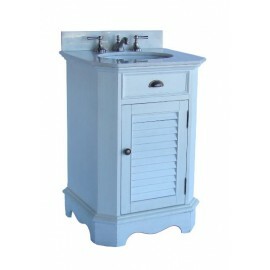 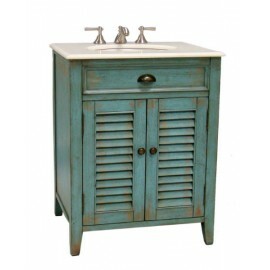 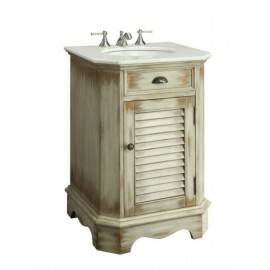 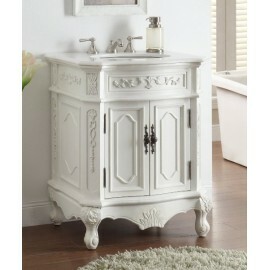 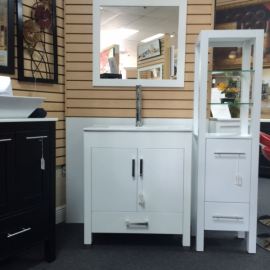 Home » Most Popular » 20" to 29"
All wood vanity with white quartz top and ceramic vessel sink. 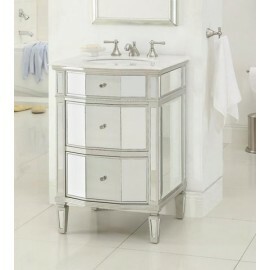 Frosted glass door inlays. 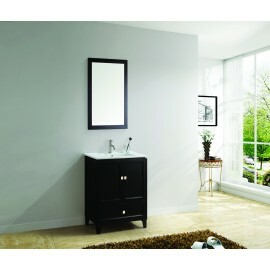 Mirror Inc..